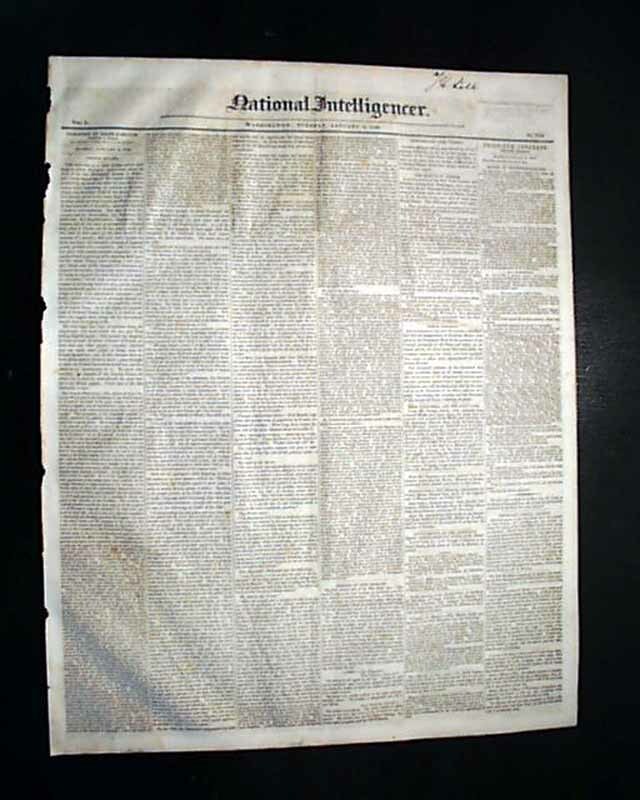 This newspaper contains on the front page a report from the "House of Representatives" which includes mention of "Lincoln" in a count of the votes of "Nays" in a vote concerning a "Private claim for a slave" (see). 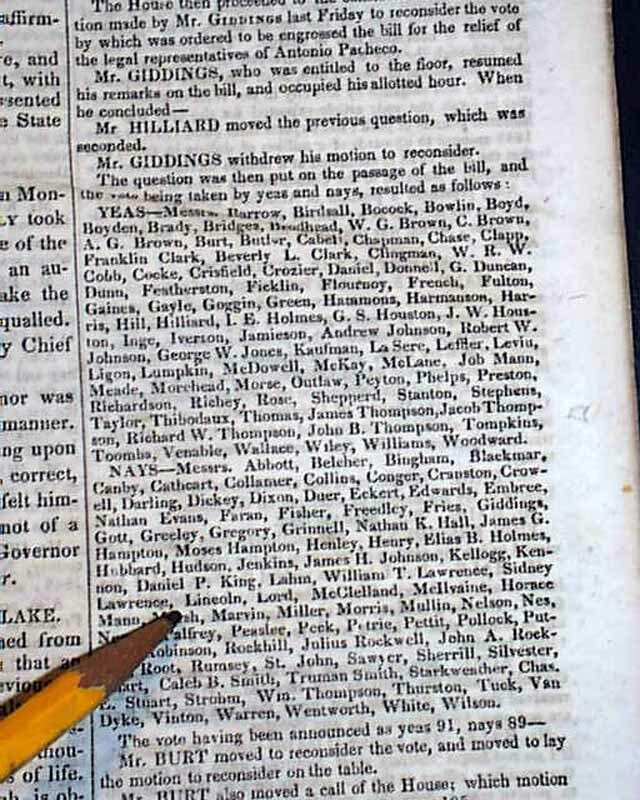 Also, page 3 has a similar mention of him in a discussion in the House, reading: "Mr. LINCOLN gave notice of a motion for leave to introduce a bill in relation to school lands which have been or may be relinquished..." (see). This was Abraham Lincoln when he was serving just two years as a Representative from Illinois. In 1846 Lincoln ran for the United States House of Representatives and won. 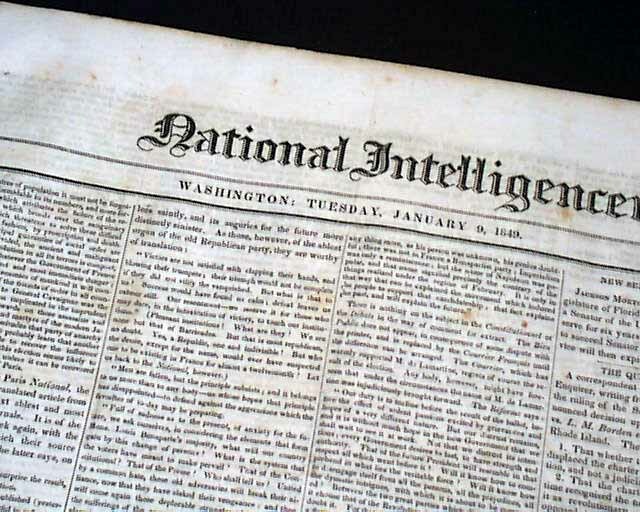 While in Washington he became known for his opposition to the Mexican War and to slavery. He served only one term, from March, 1847 thru March, 1849, so Congressional reports with mention of Abraham Lincoln are quite scarce. 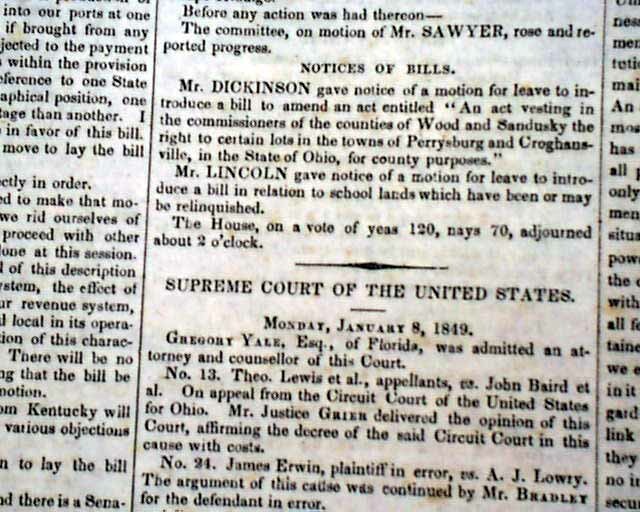 Lincoln returned home after his term and resumed his law practice. Quite rare to find period mentions of Lincoln--albeit quite inconspicuous--from long before he would become a national figure. And better yet two mentions of him in the same issue. Lincoln was just 39 years old at the time. Complete in 4 pages, nice condition.